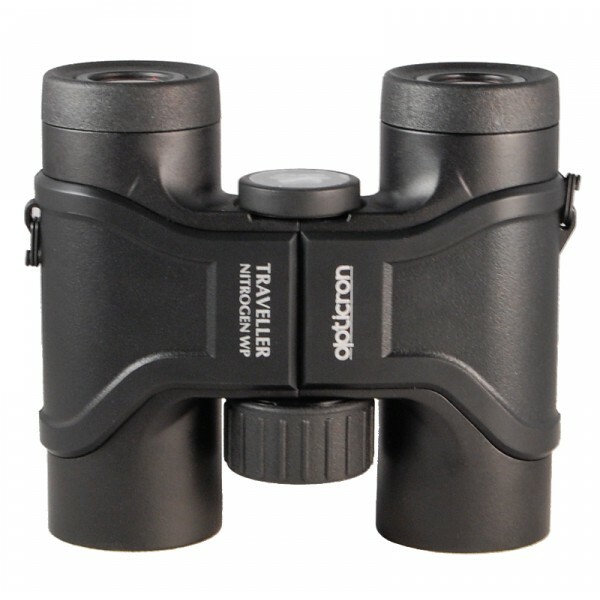 The Opticron Traveller BGA 6x32 binocular is a mid-priced, mid-sized binocular from Opticron that performs much better in our eyes than the first impression would lead to believe. 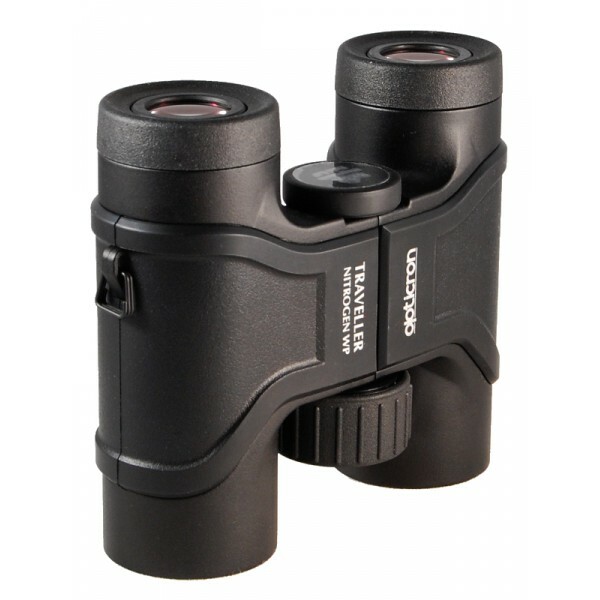 The first time we picked up the Opticron Traveller BGA 6x32 binocular, we thought, "Great, another compact binocular." It's really that small, and bears more resemblance to a compact than an 6x32, so you can understand how we could be fooled. Size and weight will back us up on this - the Traveller BGA 6x32 is less than 4x5 inches. And how many 6x32 binoculars have you found under one pound? The Traveller BGA Mg 6x32 tips our scales at just over 13 ounces. Despite its small stature, the Opticron Traveller BGA 6x32 feels extremely well built. Everything about ths binocular is extremely precise. But Opticron had to make some major changes to get this kind of performance and quality into such a small form factor. We don't mind saying that we were a little confused at first, because there's a lot about this binocular that is quite different from what we're used to. Let's start at the eyecups. Instead of utilizing a twist-up eye cup style like, well, just about every other 6x32 roof prism binocular, the eye cups on the Traveller BGA 6x32 pull directly out of the body. It's a simpler system than the traditional cup design, and that is an advantage (less moving pieces means less possibility of failure), but it also has its disadvantages. First of all, we're not exactly sure how many positions there are with these cups (we think five?) because it's so hard to get both the right and left side at the exact same eye relief anywhere in between fully retracted and fully extended. Second, they are a little harder to pull out of the body to begin with. Let's be clear: the eye relief provided by these cups is more than adequate, and once they are actually in a comfortable position, they don't necessarily ever have to be adjusted, but some of the novelty of the design feels like it came before function. But, this is all just a technical complaint. In reality, you're going to set eye relief and leave it where you like it, so in reality, the feature has its advantages. The diopter adjustment on the Traveller BGA 6x32 binocular functions by twisting the entire right eye cup. Like the cups themselves, the adjustments are tight and it can be difficult to precisely adjust. Not a problem once you actually have the diopter adjusted, but this will present difficulty when handing them off to somebody else while viewing. Again, this is a situation that presents itself more in theory than reality. So set your diopter once and leave it. Another thing we immediately noticed was that the focus knob on the Traveller BGA 6x32 is not where you would expect it to be. Where the focus knob would usually be located is instead a lock for the body hinge, which will prevent the binocular from going below the set IPD. Like the eye cups and diopter adjustment, it is a little tight and precise adjustment takes a few tries. So where is the focus knob? It's on the front of the body where you usually find a tripod adapter. The downside here is that there is no tripod adapter (something we think is always handy, and we sometimes find ourselves lost without it). Not sure about what purpose this serves, since it seems like the orientation of the hinge lock and focus knob could be reversed without any compromise. But what do we know? The good news is that it doesn't affect the ergonomics much at all, and the focus knob is easily adjusted using the ring finger, even one handed. The body itself is made from magnesium, and much of it is visible on either end of the binocular. In between, there is a small rubberized section that provides some additional grip. Looking the binoculars over end to end, it's amazing that Opticron could pack so much into such a small body. 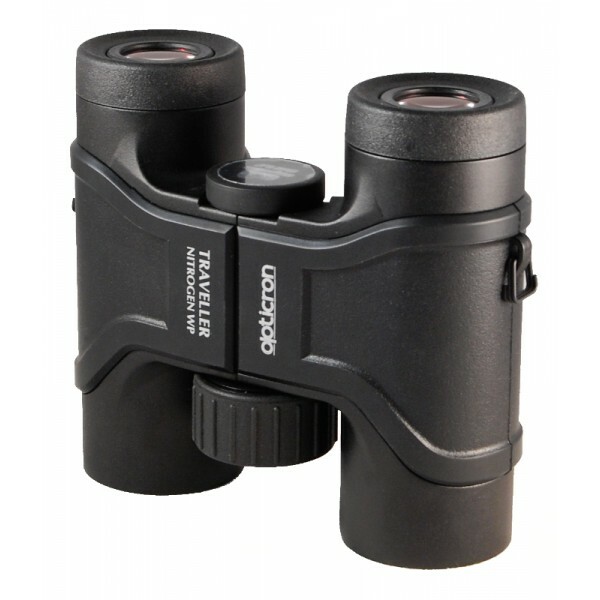 So the question is, does the Opticron Traveller BGA 6x32 peform like a 32mm binocular, or more like the compact binoculars is so very much resembles? The field of view on the Traveller BGA 6x32 feels larger than it is (423 feet @ 1000 yards). Maybe this is a placebo effect due to the size of the binoculars. Brightness is excellent, and color bias seems to be very true to life. Clarity and sharpness meet expectations set by the price. Chromatic aberration doesn't appear to be a problem, though it is slightly present on high-contrast objects. We looked very hard for any hint of rolling ball, but failed to find any instance of it whatsoever. Overall, compared to comparable midsize models, we're very pleased. So what's the verdict? Well, the Opticron Traveller BGA 6x32 packs a lot of punch into a small form. It certainly has its compromises (what binocular doesn't? 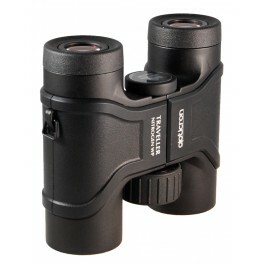 ), but there really is some value in a binocular the size of a compact with the performance of a 32mm model. 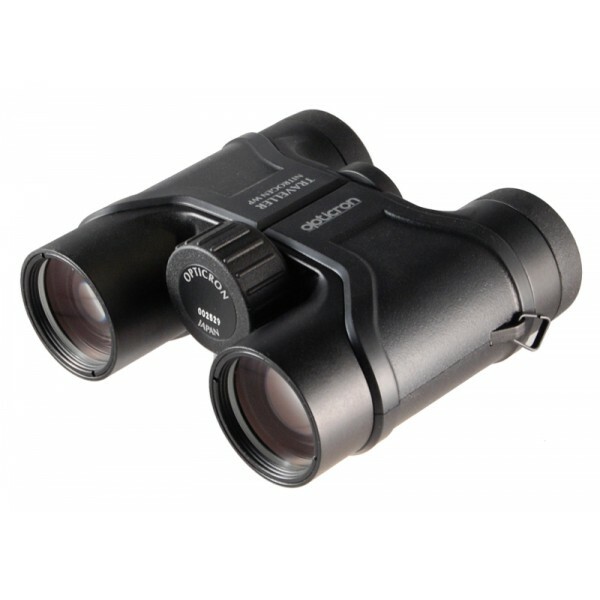 Opticron has managed to change the way we look at an 6x32 binocular. It's easy to carry anywhere, has some nice features, and is absolutely capable of any environment you put it in, from hunting to birdwatching to sporting events. You can't go wrong here. OpticsCamp is an authorized Opticron dealer.